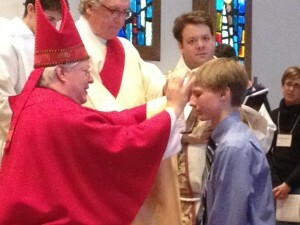 It has been the tradition of St. Thomas and the Diocese of Kansas that when a youth is entering 8th grade in school, it is time to consider taking part in the sacrament of Confirmation. Before committing to the sacrament of Confirmation, St. Thomas youth program provides classes to better understand this sacrament and the sacrament of our Baptism. We also learn more about our church’s history, structure and scripture. Our classes will meet weekly for a number of weeks. 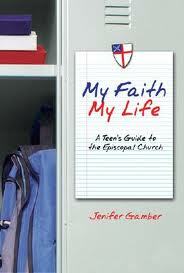 In our Confirmation class we take most of our material for the book My Faith, My Life, by Jennifer Gamber. This is a great program that covers many topics for teenagers to discuss related to faith and allows for many guest speakers and trips all aimed at deepening one’s sense of their relationship with God. If you or a youth you know who is entering or close to 8th grade that would like to participate, please contact the Rev. Kelly Demo by calling the church at (913) 451-0512 or kdemo@stthomasop.org.